Our custom photo finishing lab uses state of the art AGFA dlab 2 equipment and our professional staff makes certain to print each image to the highest quality. Attention is made to detail and quick turnaround. We still develop and print color and black & white film! 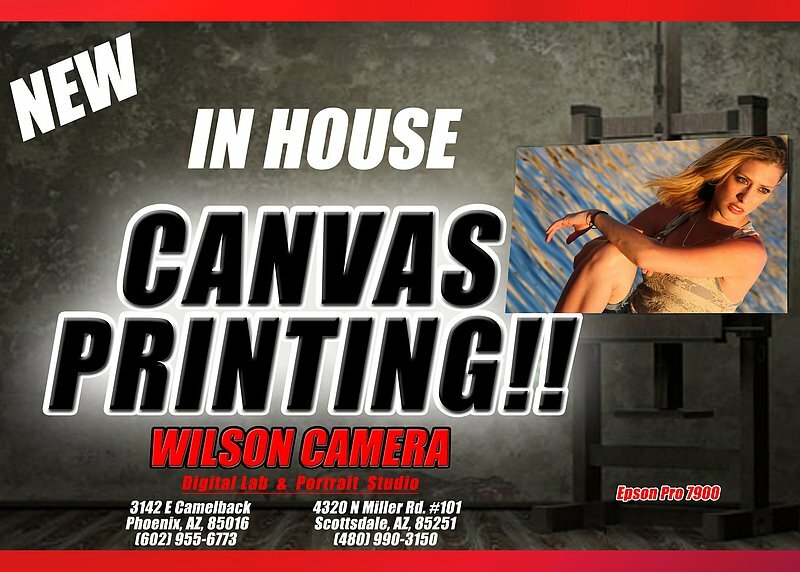 You may even submit your printing order to us via email at wilsoncamera@gmail.com. Rips, stains, & faded photos are are no match for our digital imaging wizards! Whether you want to restore an old family photo or enhance a new one, we can help! Want to make a gift extra special or are you looking to turn a photo into a work of art? Come see our creative staff help you turn your print into a masterpiece! Show off the beauty of your life by sending all your friends and family custom* Holiday cards they will surely enjoy and treasure for years to come. Don't let your precious old negatives, slides or prints whither away and decompose before they are safely digitized. For every print that goes through our machine, from the snapshot of the dinner party to precious wedding photos, we make sure it looks the best it can be. We provide color and tone corrections at no additional charge to you! Click HERE to find out what special deals we are providing today. Sign up for our email blast and be the first to know when there is a new way to save.